Weirs are structures consisting of an obstruction such as a dam or bulkhead placed across the open channel with a specially shaped opening or notch. 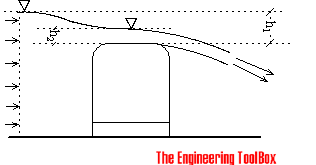 The flow rate over a weir is a function of the head on the weir. 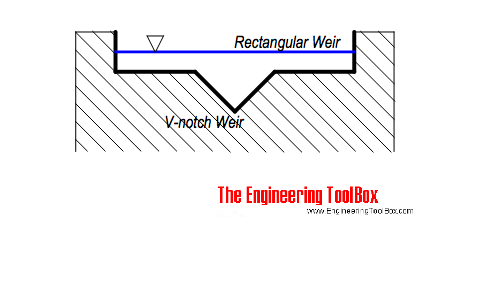 Common weir constructions are the rectangular weir, the triangular or v-notch weir, and the broad-crested weir. Weirs are called sharp-crested if their crests are constructed of thin metal plates, and broad-crested if they are made of wide timber or concrete. If the notch plate is mounted on the supporting bulkhead such that the water does not contact or cling to the downstream weir plate or supporting bulkhead, but springs clear, the weir is a sharp-crested or thin-plate weir. Water level-discharge relationships can be applied and meet accuracy requirements for sharp-crested weirs if the installation is designed and installed consistent with established ASTM and ISO standards. Rectangular weirs and triangular or v-notch weirs are often used in water supply, wastewater and sewage systems. They consist of a sharp edged plate with a rectangular, triangular or v-notch profile for the water flow. Broad-crested weirs can be observed in dam spillways where the broad edge is beneath the water surface across the entire stream. Flow measurement installations with broad-crested weirs will meet accuracy requirements only if they are calibrated. Other available weirs are the trapezoidal (Cipolletti) weir, the Sutro (proportional) weir and the compound weirs (combination of the previously mentioned weir shapes). By combining V-notch weirs with broad chested weirs - larger range of flow can be measured with accuracy. cd must be determined by analysis and calibration tests. 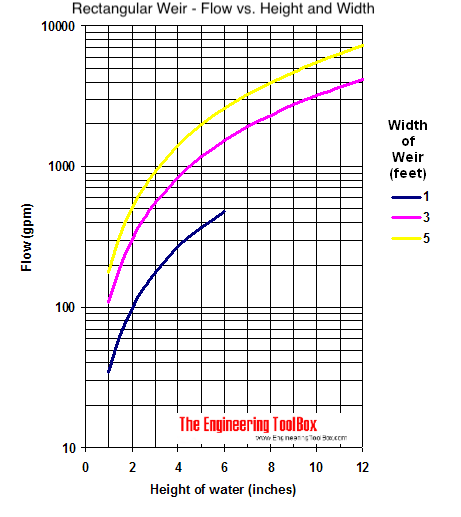 For standard weirs - cd - is well defined or constant for measuring within specified head ranges. The lowest elevation (h = 0) of the overflow opening of the sharp-crested weirs or the control channel of broad-crested weirs is the head measurement zero reference elevation. The triangular or V-notch, thin-plate weir is an accurate flow measuring device particularly suited for small flows. Ultrasonic level transmitters are positioned above the flow without any direct contact with the flow. Ultrasonic level transmitters can be used for all measurements. Some of the transmitters can even calculate a linear flow signal - like a digital pulse signal or an analog 4 - 20 mA signal - before transmitting it to the control system. Pressure transmitters can be used for the sharp-crested weirs and for the first measure point in broad-crested weir. The pressure transmitter outputs a linear level signal - typical 4-20 mA - and the flow must be calculated in the transmitter or the control system. Engineering ToolBox, (2004). Weirs - Open Channel Flow Rate Measurement. 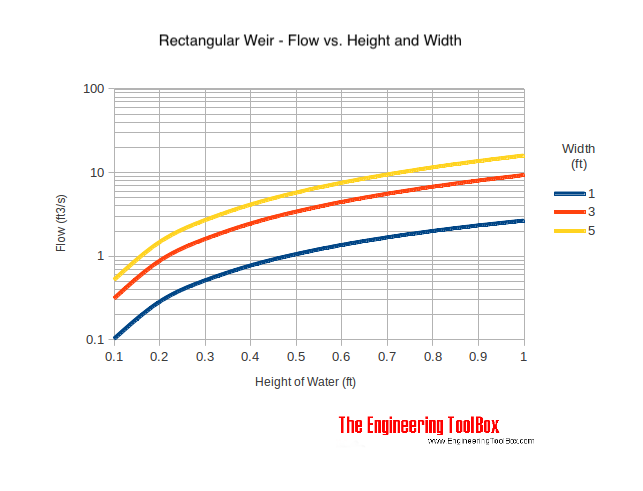 [online] Available at: https://www.engineeringtoolbox.com/weirs-flow-rate-d_592.html [Accessed Day Mo. Year].